The “Bonus Track” is here! 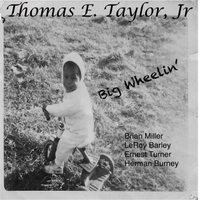 Recorded live at the Maguire Theater in Elizabeth City, NC. This song celebrates one of the best prefectures in Japan! Located in the heart of Tokyo, it is close to so many great areas. You can find some of the best Isakayas (traditional Japanese pub) in the city. This song that is in 7 and 11 came to me while discovering the “Joys” of the convenience store, can you guess which one? The newest full length CD is FINALLY here! Recorded live at the Maguire Theater in Elizabeth City, NC. Enjoy listening to my originals that take you back in time. You can find the liner notes and more detailed information when you click the album cover to the left. Trinkaloe Blues takes you down the road I grew up on while reminding you of the good ole’ country church, the south, and "The Swing" that life in North Carolina gives. 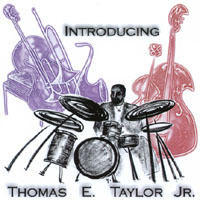 Introducing Thomas E. Taylor, Jr.
Paying homage to the master musicians that created Jazz, this album brings a "Classic" LP sound on a modern CD.